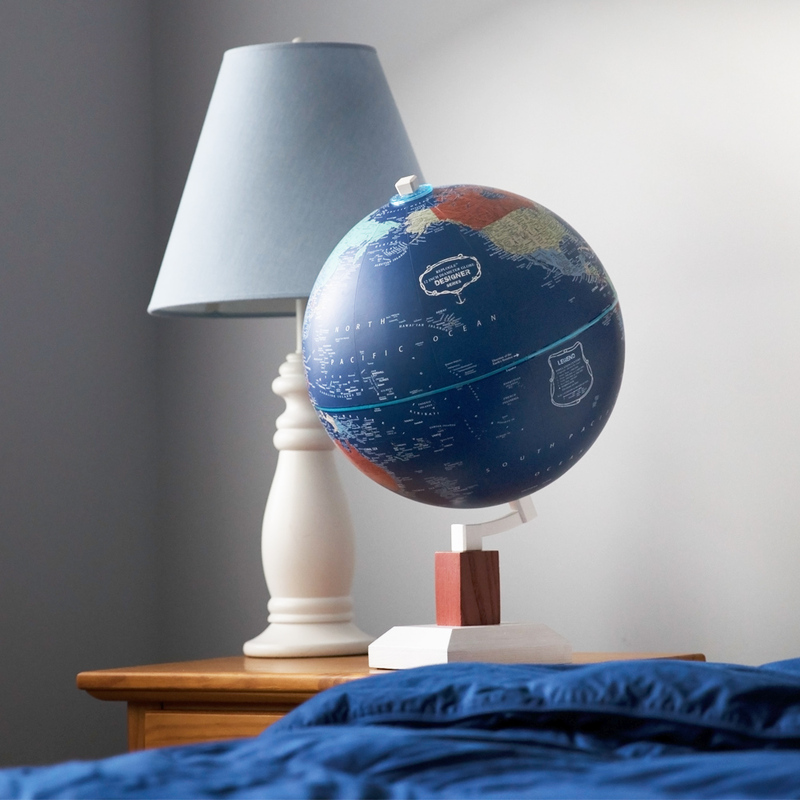 The Wanderlust is a nautically inspired globe that features deep, royal blue oceans with rich but gentle pastel land colors. 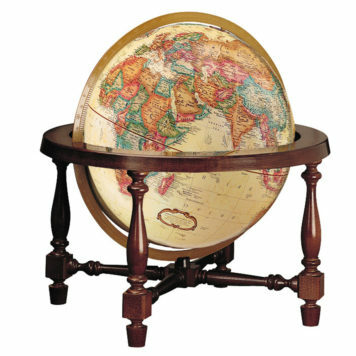 The nautical theme is highlighted by anchor and rope details on the beautifully designed compass rose and legend. 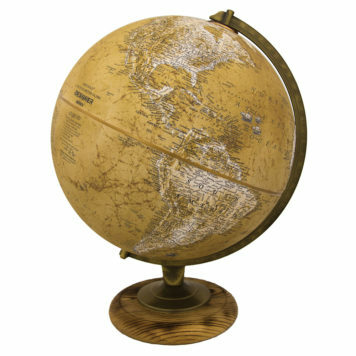 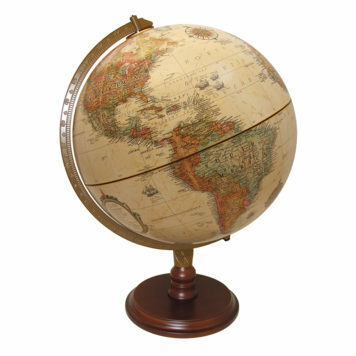 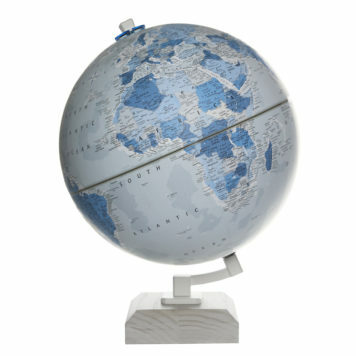 The unique soft “velvet-like” finish of the globe invites you to navigate this globe with your fingertips. The globe is mounted on a stylish white ash wood base with the dark red colored riser. This gorgeous globe is not all looks, however, as the up-to-date map has more than 3,500 place names that include population centers, political borders, canals, mountains, rivers, waterfalls and ice shelves on Antarctica. 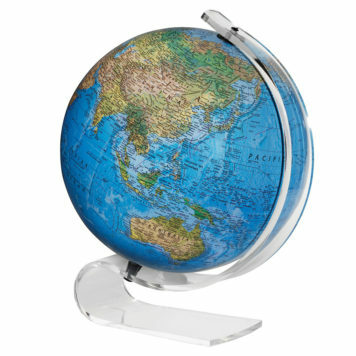 Do you have a desire to escape? 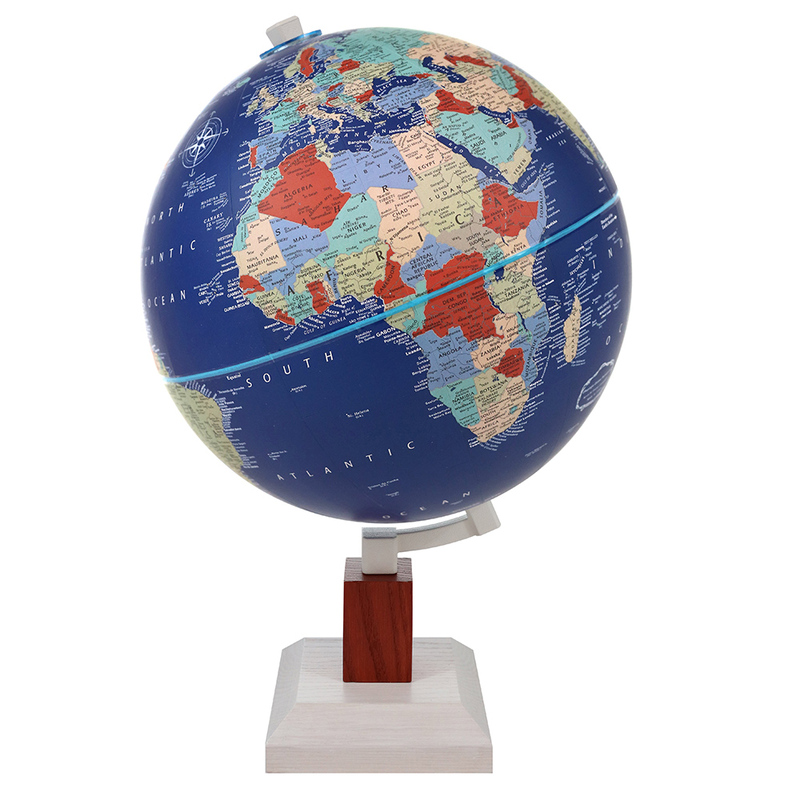 Find a location and start your adventure with the Wanderlust Globe from Replogle’s Designer Series.